Can You Profit by Buying a Pre-foreclosure Home? Home buyers are very attracted to pre-foreclosure homes for two main reasons. First, they want to seize an opportunity to be the first buyer to bid on a home, without competition from other buyers. Commonly there are multiple offers for certain types of very desirable homes. Second, buyers want a good deal, meaning they want to save money by paying less than market value for a home. Unfortunately, both of those reasons, while valid to a home buyer, are not very realistic. 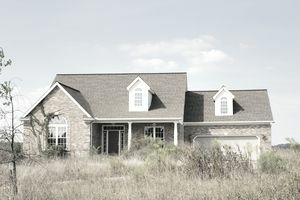 Many home buyers do not understand how foreclosures work or what makes a home a pre-foreclosure. They simply know that they find these homes listed on popular websites, and they want to buy them. That's not to say that a buyer can't buy a pre-foreclosure. The investors who specialize in pre-foreclosures may attempt to make deals with sellers that may or may not be legal in all circumstances. Many states, for example, have laws about what an investor can and cannot do when homeowners are behind on their payments and in the pre-foreclosure stage. A pre-foreclosure home is when the owner is in default on their mortgage payments, and is at risk of being foreclosed upon. It is not necessary for a formal foreclosure notice to be filed in the public records for a home to be considered as a pre-foreclosure; however, more often than not, the notice of default will be made a public record. After receiving written notice, the seller has a certain window in which they can either claim a right of redemption by making up the mortgage payments and bringing the loan current. If they successfully do so, the home will no longer be a pre-foreclosure home. If the seller remains in default and continues to stop making the mortgage payments, eventually the home will be foreclosed upon and seized by the lender or bank. In some cases, this means the homeowner will want to sell their property before it's seized by the bank – but not necessarily. Similarly, being in pre-foreclosure doesn't necessarily mean the home will go through the foreclosure process and end up in the bank's REO (real estate owned) inventory. If a pre-foreclosure home is list for sale, it will be called a short sale, not a pre-foreclosure. Most pre-foreclosure homes are not for sale. Not every short sale is a pre-foreclosure, however. Some sellers can be current on their payments and still do a short sale. Sellers who are current would never really fall into the pre-foreclosure radar to start with. The easiest way to buy a pre-foreclosure home is to help the seller to make up the back payments and then arrange to buy the home directly from the seller. One particular problem with this scenario is some sellers do not want to sell their home. It's often profitable for an investor who deals directly with the seller. That's because the seller might not have a very good idea of how much her home is worth. Sellers often do not know how much they could get by selling their home in an open marketplace. This means an investor can take advantage of this seller, although the investor would probably not admit to it. The investor would prefer to believe he or she is helping the seller to avoid foreclosure. But the investor is most likely planning to buy the home for much less than it is worth and maybe give the seller a few thousand dollars to move the seller out of the home. Because so many sellers fall victim to this strategy, some states have passed laws in an attempt to protect vulnerable homeowners who are facing foreclosure proceedings. Some of these laws give sellers in default the right to rescind a transaction after a certain period of time and, if that right is not provided to the sellers, the sellers might be able to get the home back. By the time a pre-foreclosure home is listed by a real estate agent as a short sale, the home will most likely be sold at market value. Banks must approve a short sale for a short sale to take place, and banks hire appraisers and other real estate agents to perform broker price opinions (BPOs), or estimated values of the home. Some astute buyers would prefer to negotiate with the seller before the home becomes a short sale – i.e., a pre-foreclosure home. To find a pre-foreclosure home, buyers can search popular websites that pick up feeds from an aggregator or they can pay for the feed. Some foreclosure websites publish pre-foreclosures as well. If you have a lot of time, you can contact each of the homeowners to find out if any of them are interested in selling. Another angle is to try to buy a pre-foreclosure as a short sale prior to the seller listing with a real estate agent. You can also contact your county court to see how you can search for notices of default. Another easy way to find these types of homes is to target communities that were built during the real estate bubble, where many original owners remain. Some of these homes might still be underwater, especially if there was no full recovery in that area. These homeowners are probably not delinquent, although they might not be able to sell without doing a short sale as they might have no equity. Bear in mind that when the home is listed as a short sale, most agents will expose the home to the greatest pool of buyers in the marketplace, which will no longer give you the edge. There are a handful of crooks in the pre-foreclosure business, just like in any other; it's wise to avoid them. If you're buying a home in pre-foreclosure, keep in mind that you're buying it as-is. You'll need to cover inspections and repairs. It may take more time for the lender to approve of the sale. Most first-time home buyers should not pursue pre-foreclosures but would do better to concentrate efforts on locating regular sales, foreclosures or short sales, all of which sell for about the same market value. Pick a good real estate agent to help buy a home, an agent who can help you to negotiate.